What’s new? President Trump’s surprise decision to withdraw U.S. troops from Syria followed previous warnings that he justified their presence only as part of the campaign to defeat the Islamic State (ISIS). Trump said the mission is accomplished, though ISIS remains active in both Syria and Iraq. Why does it matter? The U.S. has not laid the political groundwork for withdrawal without precipitating new conflicts. Its Syrian partners fighting ISIS, led by Kurdish fighters, will be vulnerable to attack by either the Syrian regime or neighbouring Turkey. The ensuing conflict could have devastating humanitarian consequences and provide ISIS with the chance to regroup. What should be done? The U.S. needs to press Turkey not to attack the Kurdish-led Syrian Democratic Forces (SDF). It should encourage the SDF to reach a stabilising deal with the Syrian regime, as, in parallel, Russia engages the SDF, the regime and Turkey. More space and time granted by Washington, even if limited, could allow for an orderly U.S. exit. 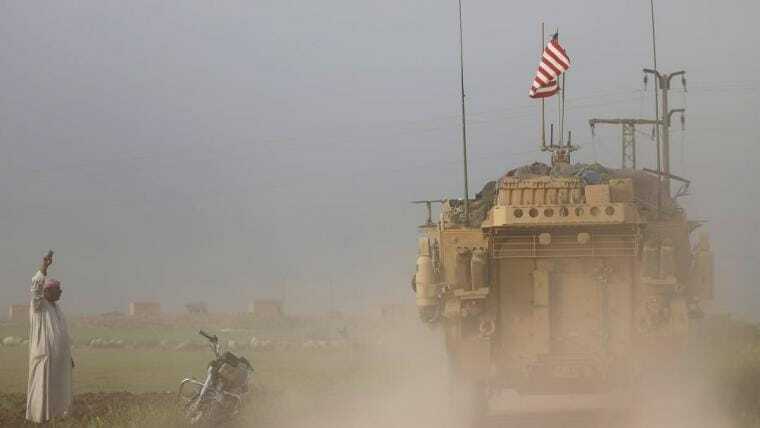 On 19 December, days after U.S. President Donald Trump spoke with his Turkish counterpart, Recep Tayyip Erdoğan, U.S. officials announced that the U.S. had begun to withdraw its military forces and civilian personnel from north-eastern Syria. Trump had told Erdoğan that such was his intent, but to most everyone else, the news came as a surprise and, to many, a perilous one: if made precipitously, the move risks leaving chaos in its wake. Washington’s Syrian partners in the fight against the Islamic State (ISIS), led by Kurdish fighters, will be vulnerable to attack by either the Syrian regime or neighbouring Turkey, which considers them terrorists. The ensuing conflict could also provide ISIS with the opening it needs to regroup. Trump’s decision to pull military forces out of Syria is the latest wild swing in U.S. Syria policy during his presidency, as the U.S. national security staff has repeatedly battled the president’s own instinct to avoid open-ended engagements in the Middle East. Until Trump’s about-face, those officials tied the presence of U.S. troops to ISIS’s “enduring defeat”, which, per their expansive definition, required fundamental change to Syria’s political system and the exit of Iranian-commanded forces from Syria. Now Trump has reasserted himself. “We have defeated ISIS in Syria, my only reason for being there during the Trump Presidency”, he tweeted on the morning of the 19 December withdrawal announcement. President Trump first made the policy shift – unbeknownst to the State Department or the Pentagon – during a 15 December telephone call with Turkish President Erdoğan. Over the previous month, Turkey had stepped up its pressure on Washington over the U.S. presence in north-eastern Syria. It had become clear to Ankara that ISIS’s “enduring defeat” meant Washington’s continued sponsorship of the SDF and support of an SDF-controlled territorial entity. The SDF is led by the People’s Protection Units (YPG), the Syrian manifestation of the Kurdistan Workers’ Party (PKK), which has waged a decades-long insurgency in Turkey; Ankara accordingly considers it a terrorist organisation and any U.S. support for it intolerable. When the U.S. military established observation posts along the Syrian-Turkish border in late November – to protect Turkey from cross-border infiltration, U.S. officials claimed – Ankara only grew angrier, viewing the move as a hostile act designed to shield its mortal enemy, the PKK. On 12 December, Erdoğan announced that Turkish forces would intervene in Syria “within days”. This declaration set off alarm bells in Washington. The Pentagon warned that an attack on Syria’s north east would be “unacceptable”. When Trump spoke to Erdoğan on 15 December, U.S. officials expected him to forcefully reiterate that message. He did not. Instead, he shocked his own staff by telling the Turkish president that an attack by Turkey made no sense since the U.S. would be imminently withdrawing from Syria. Summarising the mood among some, a top official, referring to the chaotic U.S. withdrawal from Vietnam decades ago, reportedly commented, “I was not hired to preside over another Saigon”. Both sides have reasons to deal. The SDF undoubtedly has the greater incentive; it is the party facing the prospect of Turkish invasion somewhere along Syria’s long northern frontier. Ankara is justifiably confident that it can crush an SDF deprived of U.S. military support after overwhelming the YPG earlier this year in Afrin, an enclave in Syria’s Aleppo province with more difficult hilly terrain. But Damascus also needs an agreement. Without a deal, the regime risks losing more Syrian territory to Turkey. Syria is still protesting Turkey’s “salkh” (skinning off) of coastal Iskanderun from Syria in 1938.Since 2016, Turkey has seized additional territory in Aleppo to pre-empt the YPG’s westward advance along Turkey’s southern border and deployed Turkish troops to observation points around rebel-held Idlib governorate. It remains unclear how or when Turkish forces will leave. For the regime, a Turkish invasion of north-eastern Syria could mean indefinitely ceding the Syrian territory richest with oil and wheat. The U.S. can play a salutary role in restraining Turkey as the SDF and Damascus negotiate. The U.S. has obvious coercive leverage over Turkey, such as the sanctions it deployed against Turkey to secure the release of detained pastor Andrew Brunson.But the Trump administration has also worked enough to repair bilateral ties with Turkey, including with measures like the Manbij “roadmap” and now the withdrawal from north-east Syria, to have generated some goodwill. Trump should use it to get Turkish agreement not to launch an attack in the north east. After Trump’s announcement, Turkey’s Erdoğan said he would delay any new military action. Originally published by the International Crisis Group, 12.21.2018.